Victor Carstairs is the pen name of an Italian author born in Turin and brought up in the neighbourhood of Urbino, a small Renaissance town in Central Italy. He worked and lived in Northen Italy for many a year and every now and then sojourned in London. He holds a degree in Foreign Languages and Literatures specializing in Anglo-American studies, and devotes himself to writing and translation. He has a penchant for Victorian and Edwardian authors, among whom Arthur Conan Doyle stands out as one of his favourites. He is also a keen connoisseur of the Golden Age of detective fiction and loves nineteenth century poetry and painting as well. He has had five Sherlock Holmes pastiches published by Delos Books so far: L’ultimo preraffaellita, Il cane e l’anatra, Il labirinto della solitudine, L’avventura dei candelabri provenzali, Lo studiolo del duca; in 2016, he published an exhaustive academic study on the Holmesian apocryphal writings entitled Oltre il Sacro Canone: variazioni apocrife sul tema di Sherlock Holmes (Aras Edizioni). He is the co-author of the only Italian biography of Lord Alfred Douglas published back in 1999. He has also written and published a brief Sherlock Holmes pastiche for the American John H. Watson Society, The Adventure of the Duke’s Study, which was the first issue of the Fiction Series in 2015. As a translator, his work includes a number of novelettes published by Delos Books, a novel published by Mondadori and several non-fiction works that appeared in various magazines. 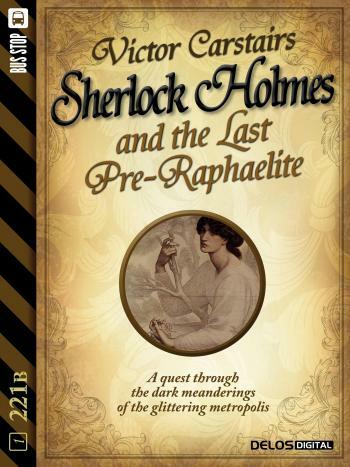 The Last Pre-Raphaelite is his first Sherlock Holmes pastiche out of five.